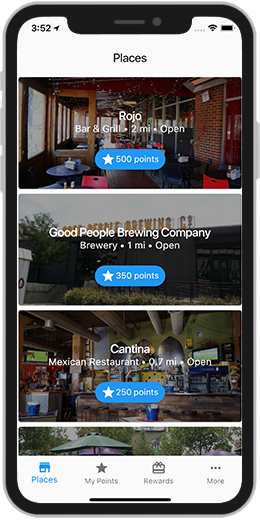 Pointz is an app that rewards you for spending time at local businesses. No check-ins. No punch cards.